Just make sure your return meets our Returns Policy and follow the steps below. 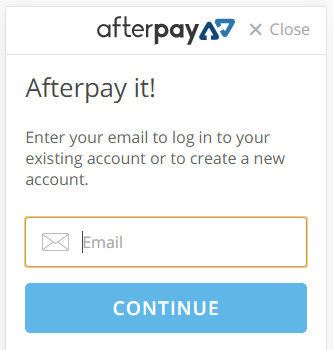 If you wish to return an Afterpay purchase online, please contact our Customer Service team here. Online and Instore Afterpay purchases can be exchanged in all Supré Australian stores for item(s) of equal value. 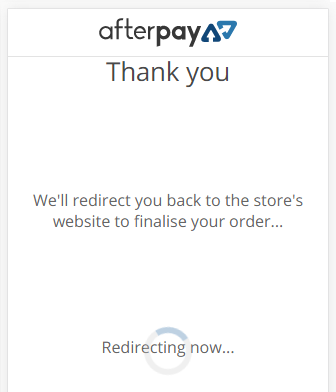 Afterpay purchases can be refunded in all Supré stores within Australia. We are unable to refund or exchange without a receipt. Our team will then confirm the Returns Policy has been met and help out with an exchange or refund in select stores. For subsequent orders under $500 your first payment will be deducted 2 weeks after your purchase and your last payment deducted 8 weeks after purchase. For all orders over $500, your first payment will always be deducted at the time of purchase. 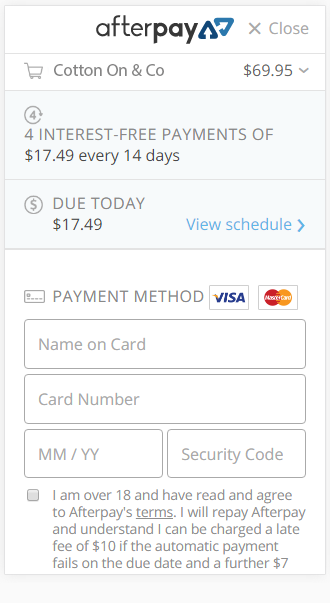 Your first payment will be made at the time of purchase. Fortnightly payments will then be made for the next 6 weeks. Yes, we’ll ship your order as per our standard delivery times.